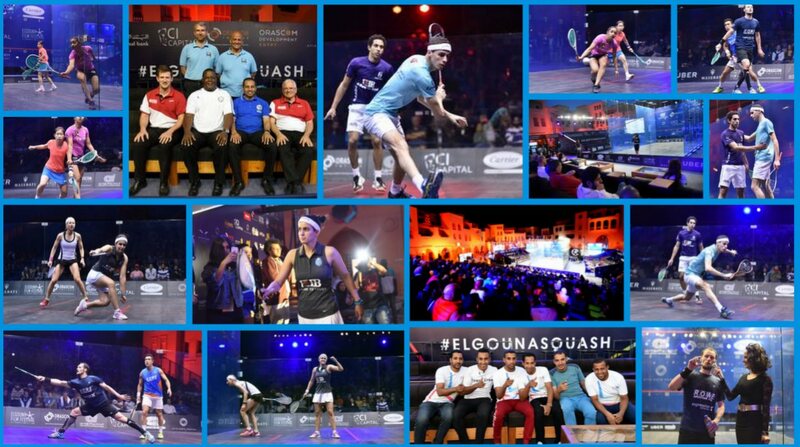 Reigning El Gouna International champion Gregory Gaultier moved a step closer to a third successive final at the PSA World Series tournament as he defeated Colombia’s Miguel Angel Rodriguez to set up a semi-final meeting with World No.2 Ali Farag at the El Gouna Marina. 35-year-old Gaultier, who beat World No.7 Karim Abdel Gawad in last year’s final, had only ever lost once to World No.16 Rodriguez and had won their last four matches without dropping a game. 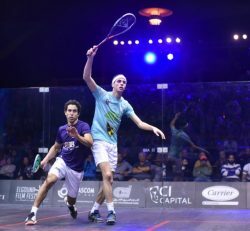 The World No.3 didn’t have everything his own way today though and the pair contested a high-octane clash until Rodriguez twisted his ankle in a coming together early on in the fourth game with Gaultier 2-1 up at the time. 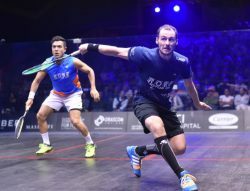 The former World No.4 played on but Gaultier had too much in the tank and the Frenchman held on to complete an 11-9, 8-11, 11-6, 11-7 victory in 70 minutes. 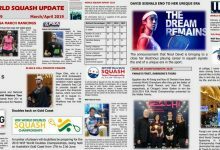 “I’m happy I managed to get back on court but after the accident it was not easy,” said Gaultier. 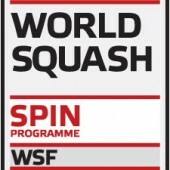 “It was tough to get the rhythm back but I’m happy that after losing the second game I managed to find my length and my focus again. 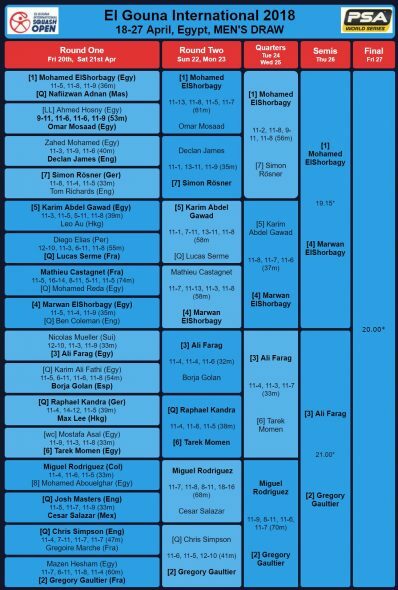 He will go up against the man who took his World No.2 ranking earlier this month, Egypt’s Farag, after the 26-year-old put in a mesmerising display against World No.5 Tarek Momen to end a two-match losing streak to his compatriot which encompassed semi-final wins at the J.P. Morgan Tournament of Champions and the Canary Wharf Classic. 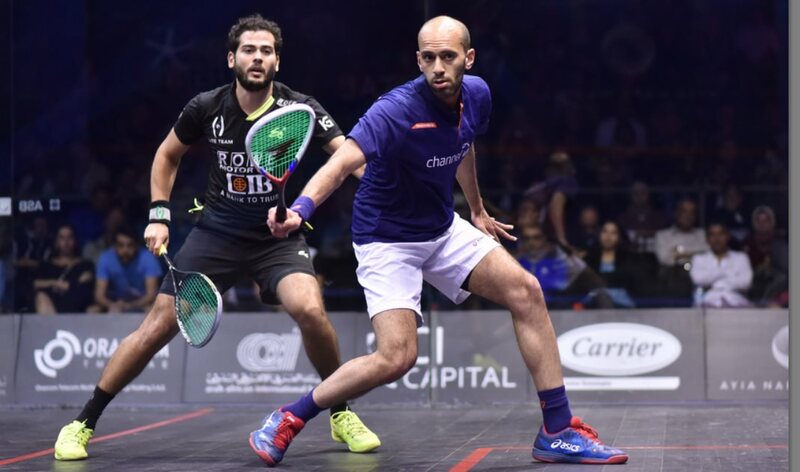 It was a windy evening at the marina and Farag adapted best to the conditions as he put in a rampant display which saw him outplay Momen and he claimed an 11-4, 11-3, 11-7 victory in 33 minutes to book his place in the semi-finals of this tournament for the first time. 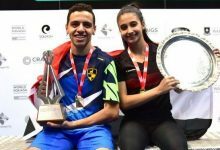 “Today it wasn’t about who was the better player, it was about who was going to adapt to the conditions better,” Farag said afterwards. 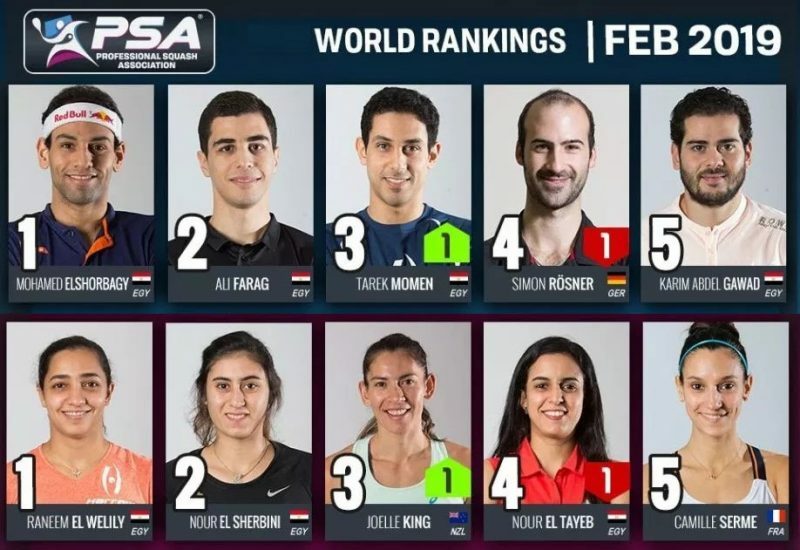 Farag’s win followed immediately after his wife, World No.3 Nour El Tayeb, earned her place in the semi-finals of the women’s tournament courtesy of an impressive 3-0 win over England’s Alison Waters. 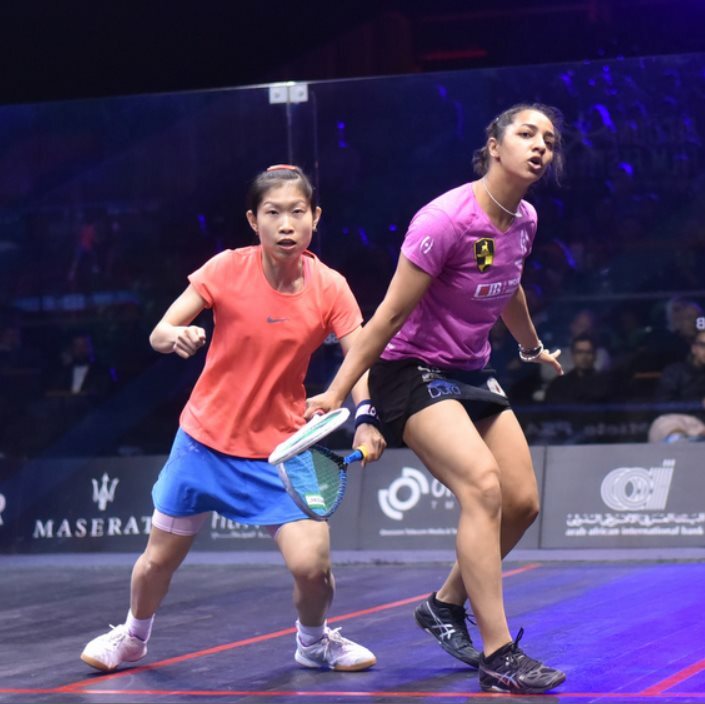 Waters came within a whisker of taking the opening game after El Tayeb recovered from game ball down to go ahead and the Egyptian was in control from that point onwards as she claimed a 12-10, 11-6, 11-7 victory to reach a fourth World Series semi-final in a row. “The conditions were very hard tonight for both of us,” said El Tayeb. 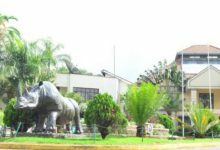 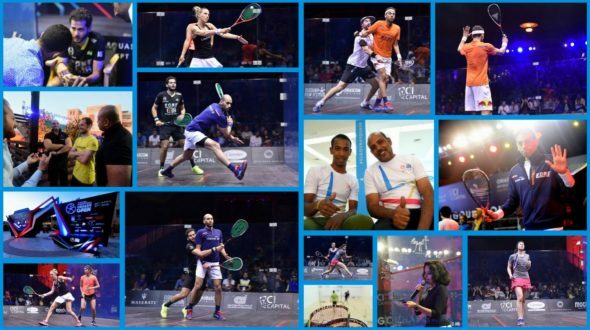 “It took us a while to adapt to the conditions. 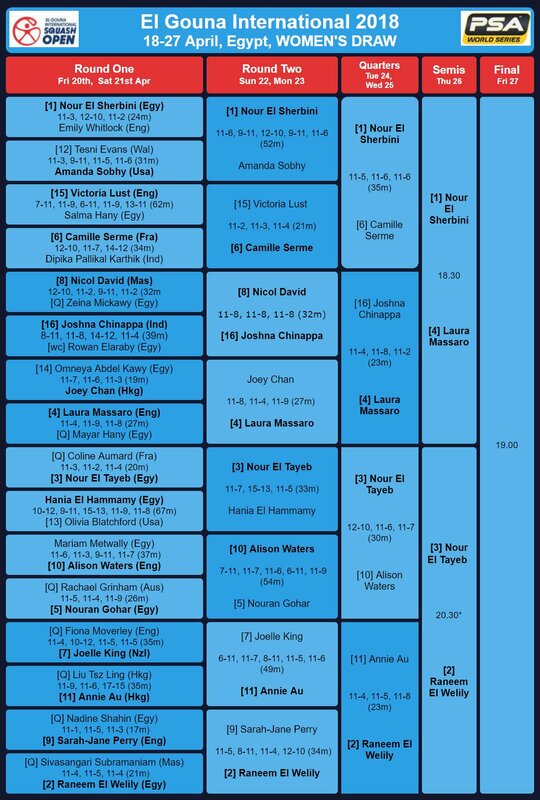 Last time we played she beat me, so I was expecting a tough match, and I know how hard she is to beat. 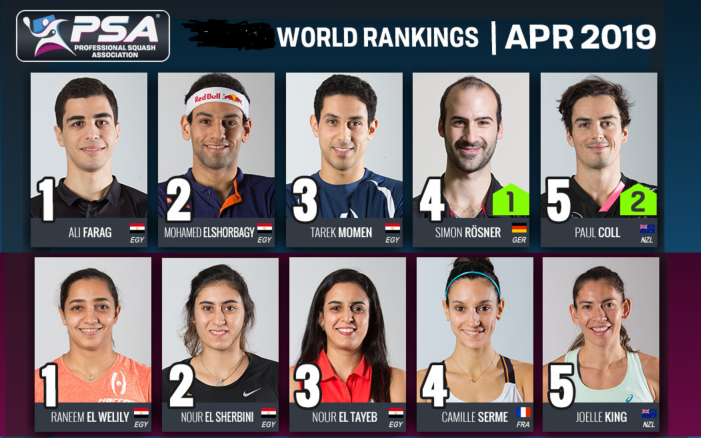 Up next for El Tayeb is a meeting with World No.2 Raneem El Welily, who put Hong Kong’s Annie Au to the sword in a dominant display 12 months after losing the women’s PSA World Championship final on this court to World No.1 Nour El Sherbini. 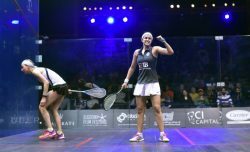 El Welily was in splendid form once again after following up a impressive second round display against England’s Sarah-Jane Perry with a comfortable 23-minute win over Au to move to within one win of what would be a fourth World Series final this season. 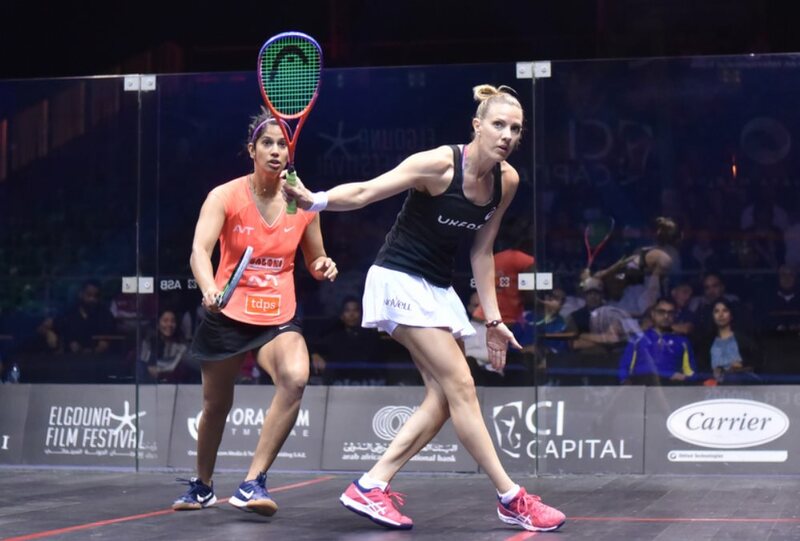 “Annie’s got a very strong game and like the previous players said, the conditions on the court today are not the best,” El Welily said. 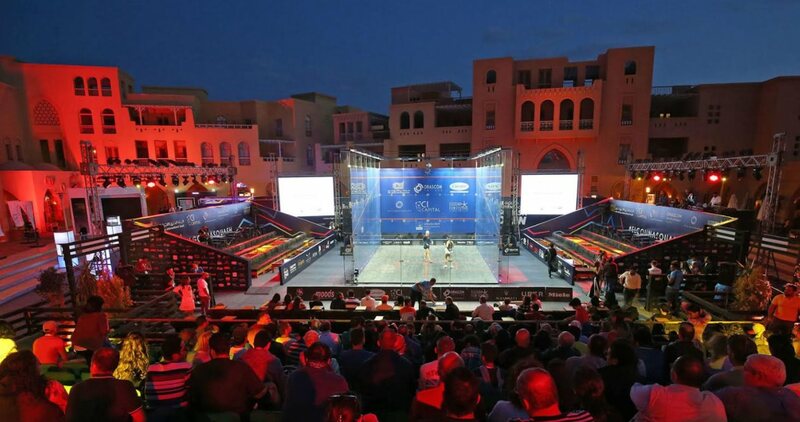 World No.1 Mohamed ElShorbagy and his younger brother, World No.4 Marwan, will go head-to-head for the fifth time this season as they advanced to the semi-finals of the El Gouna International, PSA World Series tournament held at El Gouna’s marina courtesy of respective wins over Germany’s Simon Rösner and 2017 runner-up Karim Abdel Gawad. 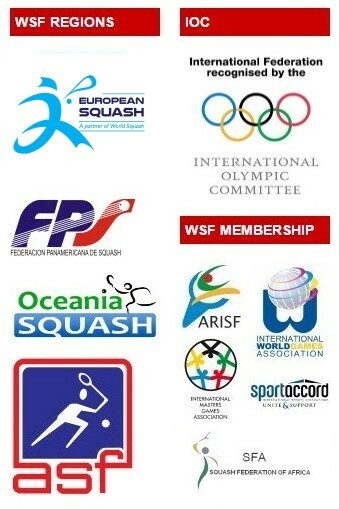 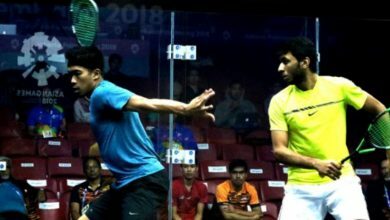 The two ElShorbagy’s met at the quarter-final stage of last year’s tournament when Marwan eased past his sibling – who was out of form at the time – in just 24 minutes but he has lost their four previous meetings on the PSA World Tour, including the final of the PSA World Championships in December. 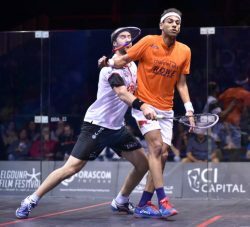 Mohamed booked his place in the semi-finals this time as he defeated World No.6 Simon Rösner by a 3-1 margin, claiming an 11-2, 11-8, 9-11, 11-8 victory to ensure that he has now reached the semi-finals at 10 of his last 11 tournaments. 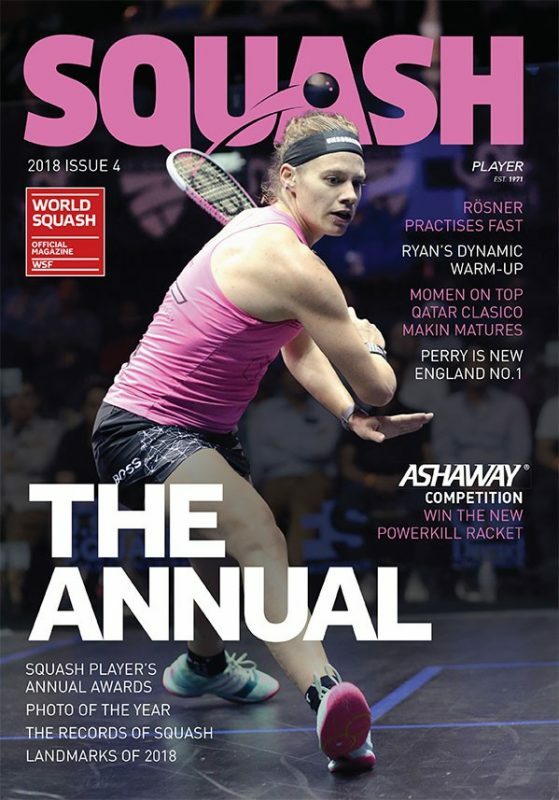 “Simon has been in great form this year, he’s at his highest World Ranking and he won the Tournament of Champions in January, so I knew how tough it was going to be,” said ElShorbagy. “I think we played here two years ago and it was tough as well. 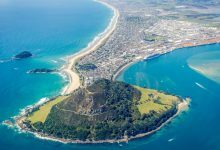 I just expected it to be tough from the first point and it kept getting tougher and tougher. 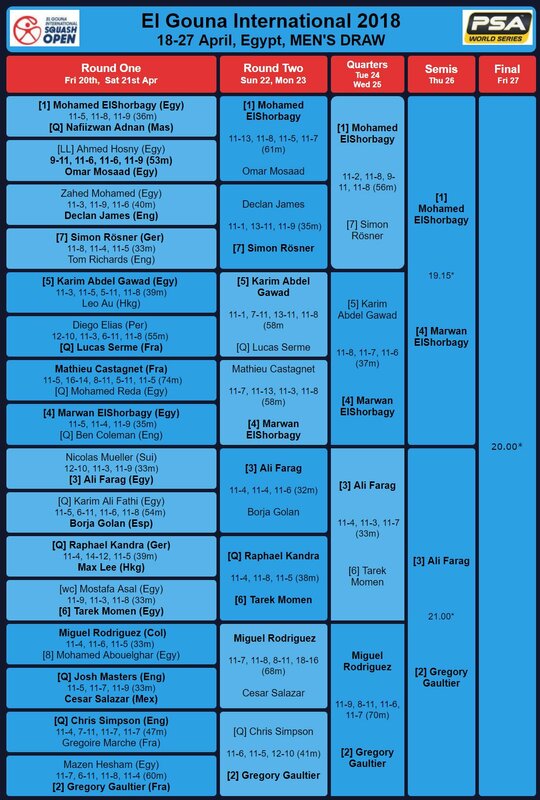 I’m just glad that I pulled away at the end. 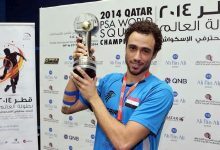 Marwan, meanwhile, overcame 2016 World Champion Karim Abdel Gawad after a superb display saw him mix up his shots well in a tactically-astute performance that saw Gawad unable to sustain any kind of rhythm. 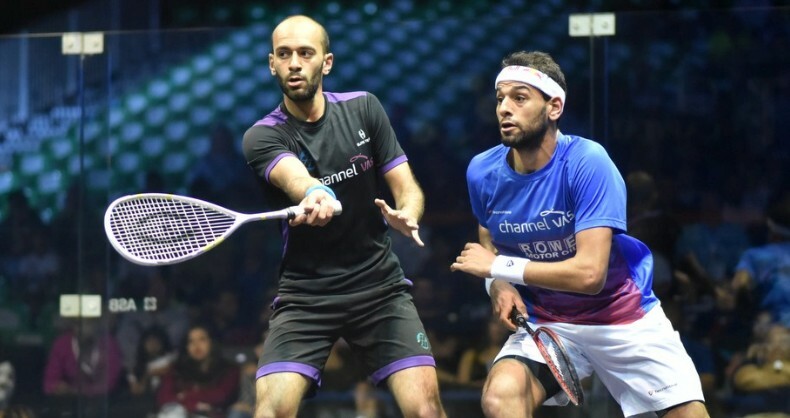 “My brother is a completely different player from 12 months ago so I’m expecting a completely different match,” said Marwan afterwards. 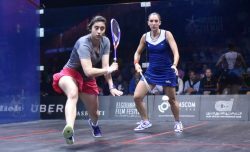 World No.1 Nour El Sherbini joined her compatriots in the semi-finals as she sent French World No.6 Camille Serme out with an 11-5, 11-6, 11-6 victory to underline her status as the favourite for the women’s title. The 22-year-old, who was 8-7 up on the head-to-head was majestic as she dismantled her opponent pushing Serme deep into the back of the court, while her precision at the front was too much for the Frenchwoman to handle as she stormed to the win in 35 minutes. “The match was tough even if it finished 3-0,” said El Sherbini. 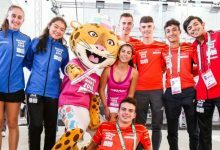 “I’m used to playing with Camille in the semi-finals of the finals, so it’s really hard to play two tough matches after each other. 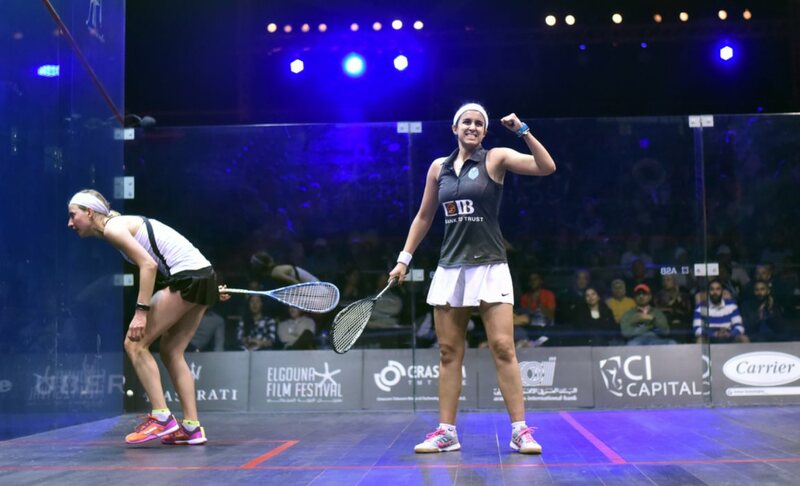 But I’m really glad that I played well, I’m pleased with the way I’m playing and I’m happy to be in the semis. 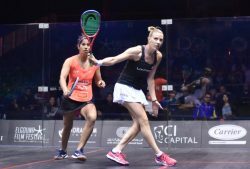 She will face England’s Laura Massaro for a place in the final after the 34-year-old World No.7 put in a clinical display to reach a fifth semi-final in her last seven tournaments, winning 11-4, 11-8, 11-2 in just 23 minutes. 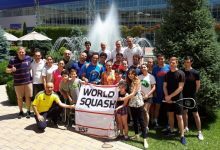 “I feel good and I felt like it was a solid performance,” said Massaro.